The tortured love story is as old a story as time itself. We can look at it from every angle — Romeo and Juliet, Heathcliff and Cathy Earnshaw, Allie and Noah, Bones and Booth, Marissa and Ryan, Blair and Chuck — and easily see that the theme of difficult romance has been a big part of our literature, television and culture for hundreds of years. The effortless romances are nice, of course, but often we don’t find them compelling enough to read about. Previously, I’ve blogged about how these fictional couples affect our expectations of real-life relationships, either causing us to pursue unsuitable romantic partners or remain in relationships that aren’t working out. Of course, comfort in a relationship (often caused by longevity) is another reason why we stay with people we know in our hearts are 100 percent wrong for us, but I think the real problem is the way we romanticize our struggles in the name of love. 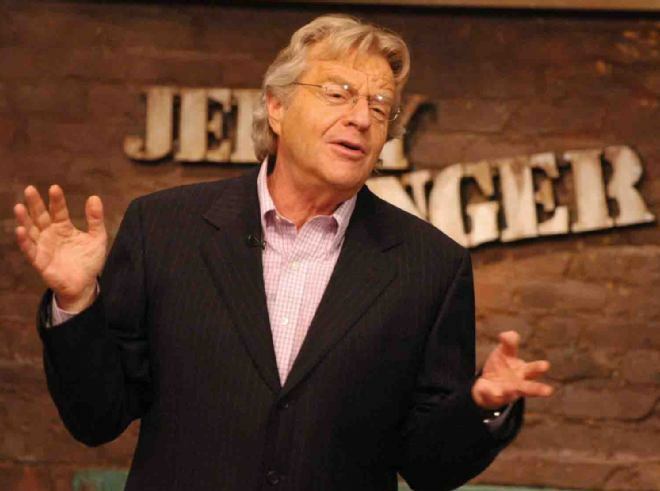 The other day I was watching The Jerry Springer Show (Jerry! Jerry! Jerry! ), and Jerry’s final words included the above quote. Although we tend to look down on the show’s usual caliber of guests, I have to admit that many of their situations were like exaggerated versions of our own. At the very core, we find people who jumped into relationships they weren’t ready for, whose partners cheated on them with their supposed best friends, who had difficulty letting go of an unworthy significant other. Granted, a good portion of people on that show are either strippers, missing teeth, or both, but in essence their situations are not all that different from our own. I couldn’t get over how many people were willing to give their significant other a third and fourth chance in spite of everything. Situations especially distressing for me were the ones in which the person (usually the woman) remained convinced that the other would change and one day give him or her the time of day. Let’s face it — most of us have been on that end of an unequal relationship, in which we care for the other person a whole lot more than they care for us. Maybe we hope that by sticking around through mediocre treatment, we will in turn encounter the greatest love story of all time. Or maybe we don’t give ourselves enough credit, and feel that without another person — specifically this other person — in our lives, we have nothing. In those situations, we have to remember Jerry’s words. It’s one thing to fight for something that is real: to defend a loved one from attack based on prejudices or something along those lines. However, it’s an entirely different story when we fight for the adoration of someone who treats us poorly, makes poor decisions or doesn’t give us the time of day. As Jerry says, that isn’t love. It isn’t even a real relationship.